Membership in the Tri-States Amateur Radio Club (TSARC) is open to anyone interested in Amateur Radio in accordance with all Federal, State, Local laws & Regulations. 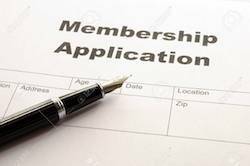 If you have an interest in joining (or renewing), please download and complete fully, the membership application below. You MUST complete the membership application (it is a fillable PDF), and send via email, postal mail (address is below) or bring it to a meeting. Payment alone does not constitute membership acceptance. You can mail the completed (make sure it is signed and fully completed) form along with your check or you may bring it to any club meeting and pay by check or cash. Please do NOT send cash by mail, we are not responsible for cash not handed directly to our Treasurer. To renew your membership, complete payment via Paypal below or simply send in your yearly dues by mail or come to a club meeting and you can renew there, it’s that easy! If you would like to make a donation (It is tax deductible!) to our club, you can do so by clicking on the “Donate” button below. Choose a predetermined amount, or set your own amount. This is a one time donation, it does not renew unless you choose to have it renew monthly (you can cancel at anytime). You do not have to have a Paypal account to complete a credit card transaction. Please note: You MUST click the “Return To Merchant” button at the bottom of the PayPal page and complete the Membership Form! Payment alone does not constitute TSARC Membership. You can view, download or print the form below by using the icons at the top right of the viewer. If you have any questions about our Bylaws, Rules and/or Regulations, please go here and you can read or download these documents.